All of our outerwear is made in USA with caring hands. Our manufacturing process adheres to the Federal Trade Commission regulations that govern the use of the phrase "Made in USA" . 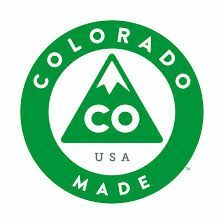 When you purchase our made in Colorado garments you are keeping your dollars domestically shored. All of our jackets and technical fleece, ski and skin carry systems, stickers, belts, and hats are made in Colorado. Some prospect pants and shorts are made in Colorado. Some non technical fleece, baseball caps, t-shirts, and Prospect Pants are made in USA. Our US made t-shirts are screen printed in Colorado.